The Loveable Bug's back doin' his thing! Herbie, the Volkswagen Beetle that has a consciousness of his own that helped make him a celebrated racing car, is now enjoying retirement with the kindly but spirited aunt of mechanic Tennessee. 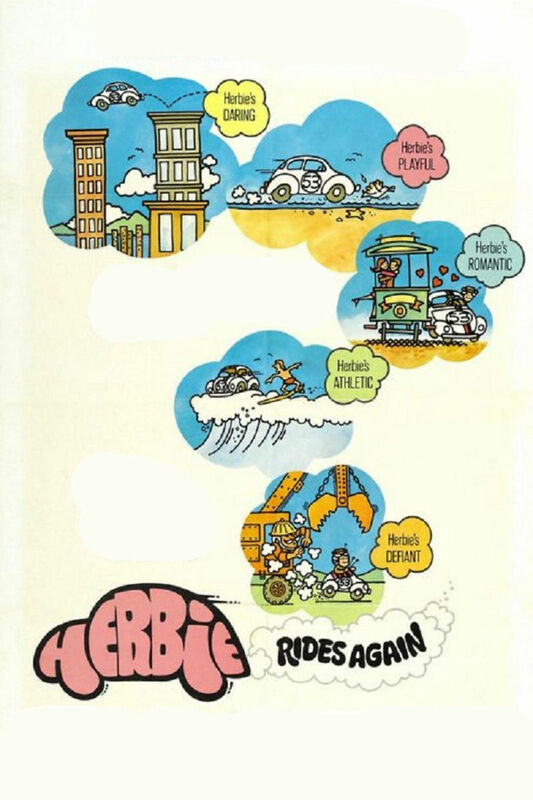 Though Herbie misses life in the fast lane, he is deeply devoted to Mrs. Steinmetz and her ragtag menagerie of other machines and vehicles that, like Herbie, have lives of their own. When corrupt developer Alonzo Hawk insists that he wants to buy the widow's firehouse so that he can develop the property, she's outraged and refuses to budge even though he sends his affable nephew Willoughby to do his dirty work for him. Willoughby, partly spurred on by interest in the widow's young friend Nicole, decides to help Herbie fight his uncle.